Northants star Ben Duckett expressed his delight after being named in the England squad for the upcoming ODI double-header against Ireland. 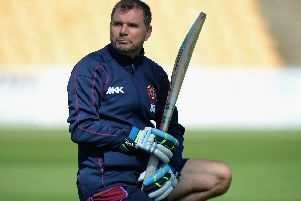 Duckett is part of a 14-man squad for the Royal London ODI Series. England will take on Ireland at Bristol on May 5 and Lord’s on May 7 as part of their build-up to the Champions Trophy. Duckett has not been included in the squad for the Trophy, but will hope to impress against Ireland.